Usually when the words "based on a true story" are splashed across film promotion, the focus is on major news events or famous individuals. 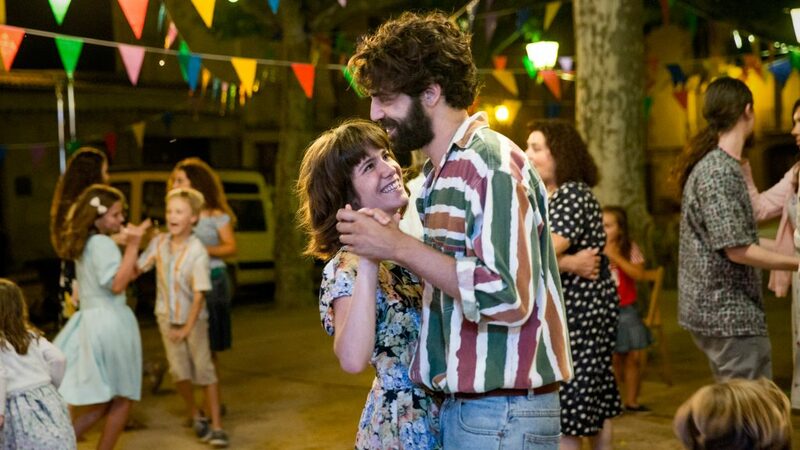 But in the new film Summer 1993, writer-director Carla Simón tells her own story, or at least a version. Told through the eyes of six year old Frida (newcomer Laia Artigas), she is sent to live with her aunt and uncle after the death of her mother. Her "new parents” (Bruna Cusi and David Verdaguer) have to adjust to Frida as their “new daughter” and integrate her into the family they have with their younger daughter Anna (Paula Robles) and help Frida understand and work through her grief. First time filmmaker Simón creates a delicate film which is sweet, moving, and even funny, without forcing sentimentality on top of this very personal story. Lesley Coffin: The film’s being described as a film memoir, but it’s also a narrative film. Would mind explaining what elements were pulled from your own story and what aspects were fictionalized? Carla Simón: My childhood was my starting point and the characters exist in real life. But while working on the script I spent some time with my new parents, almost interviewing them about what it was like when I first arrived in their home. I had to ask them a lot of questions because even when I try to remember, I don’t have specific memories of that time. I remember my feelings and emotions, but not the situations, so it was helpful to talk with them. I also looked at all the photos I have of my childhood and found those images brought back a lot of those feelings. So I used that as a starting point. And then I read a lot about children’s psychology to understand what they understand about death at different ages. And I read a lot about adoption. And that was very helpful for me when it came time to writing this story, to map Frida’s emotional journey. I would say three or four moments in the film happened as they happen in the film, but the rest are based on something from my childhood. I never hid my sister in the woods, I wanted to but didn’t, and I didn’t bring presents to the statue, but I was told to pray every night because my grandmother told me to. So the film is based on my childhood but not a recreation. Lesley Coffin: Considering the way those photographs sparked your memories, did you use those as references when working with your cinematographer? Carla Simón: Yes, and the photographs inspired me to make a lot of decisions about how I’d make the film. I wanted the film to have a similar look so I had the lighting department and costume and art designers use them as reference points. But there was also something about the way those photos looked, you felt that the photographer was always present. And I wanted that same feeling when filming Frida. I wanted the audience to feel like they were with Frida all the time, that we were seeing her point of view. So our choice was to almost try to translate those photos, so we shot everything almost like home videos. It was an added challenge to film that way, but I think it ultimately worked? Lesley Coffin: Laia is lovely and clearly very talented, but she also didn’t have a lot of experience and the camera is often very close to her. How did you prepare her to work around the camera? Carla Simón: The first step is of course finding the right girls, and we really wanted girls who felt a lot like their characters. So she has a lot of Frida in her and Paula is a lot like Anna. And then once we had cast them, we met with them over a couple of months, and just improvised moments that weren’t in the movie, and I always filmed those scenes so they could get used to performing around a camera. But those scenes were more intimate, because it was just the girls and I and sometimes the cinematographer. So once we got on set they had to get comfortable around those cameras and get used to everyone watching them. I wanted the camera to be intimate but not intrusive, so we really tried to adjust how we filmed to their performances. It was hard at the beginning, and the truth is, we had footage of them looking at the camera until the very last day. We just edited around that, and when we’d say we had to cut because one of them looked at the camera they’d always argue over which one looked. Lesley Coffin: Was it difficult to cast and direct actor to play your family? Carla Simón: I felt this huge sense of responsibility to my parents, not just to show them in a positive light but as complex people. Although Frida’s based on me, I wasn’t worried because I had all the control. If she was mean sometimes, I was fine with people seeing that side of her. But I needed the audience to understand that they were living their own lives and completely unprepared to raise this little girl and had to learn to love her. And the fact that they had very complex feelings about the entire thing. I’m 31 one now and not that much younger than they were and I’m sure if I were in that same situation, I would make a lot of mistakes. It wasn’t an easy situation for any of us, and they might have made some mistakes. But I’m also very protective of them and wanted to show respect for the characters and show their humanity. But they were also very involved from the very beginning. They read drafts of the script and met the actors playing them. My sister plays Frida’s young aunt. My brother, who was born after 1993, did the music. So they were very involved and I think they felt like they were in safe hands. Lesley Coffin: You mention not having clear memories of this time and certainly there has to be lingering emotions from that time in your life. Did you find it therapeutic to be recreating that time in your childhood as an adult and see it reflected back? Carla Simón: When directing, I didn’t allow myself to feel much. I was so focused on getting everything right. But I had a bit of an internal fight with myself, because I wanted so badly to recreate the moments I had in my head, and you can never do that exactly. And these weren’t even scenes I wrote into the script, these were images I had in the back in my head, visuals from my childhood that I could never recreate exactly. So I really had to force myself to be in the moment and focus on the girls and appreciate the locations and actors I had on set. It was when I got in the editing room that I think I really realized that recreating those moments didn’t matter. But it took time to accept that. 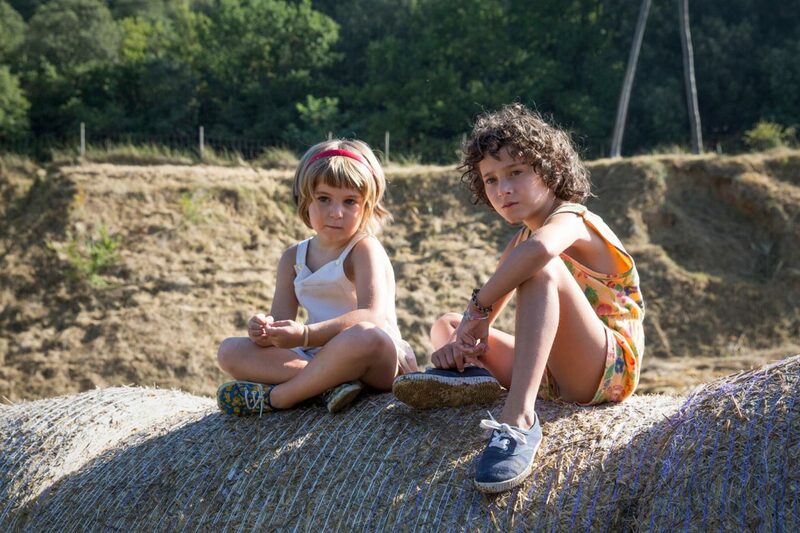 Prev postWhere are all the female Italian filmmakers?